Give your room a face-lift with florals! Do you have a room or a spot in your home that needs a little makeover? Or are you close to having it finished but just missing something and you’re not sure what it is? Sometimes all it takes is a new arrangement to give a room a face-lift. Adding silk stems and florals can add the extra element that you’re missing; texture, color, height, fullness, style, etc. The problem is that not everyone has the tools to create that perfect piece whether that be product, know-how, or even desire. No problem! We want to make this easy for you! Stress no more because with our wide range of product in our new floral room “The Potting Shed” and our trained staff, The Markket has you covered. Stop in at The Markket and chat with one of our designers. 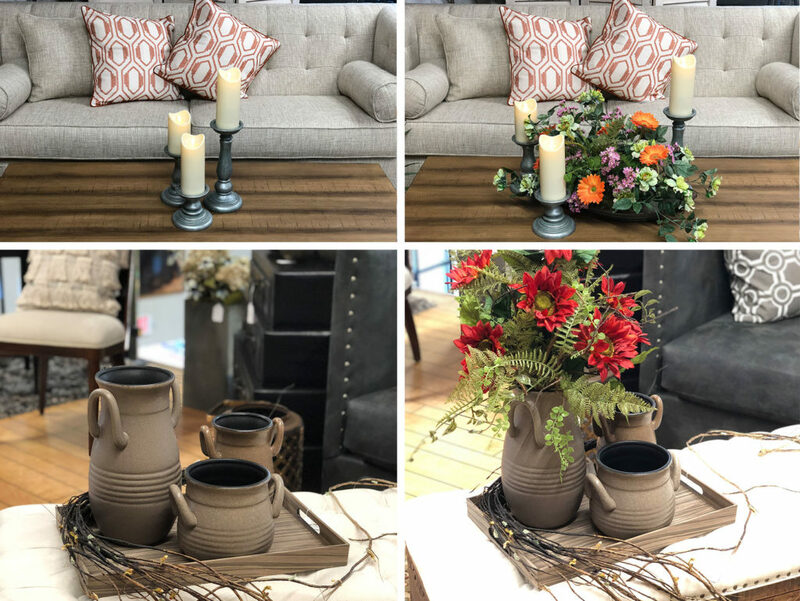 Once we understand your needs, style, and which direction you gravitate towards, we will help you pick out your vase and stems. Once we know what looks good and what you like, we will get to work! You and your friends may continue to roam around the store enjoying all of our other offerings while we work on making your arrangement come to life. No project is too big or small. If you have a project that will take a while longer feel free to go enjoy a meal at one of our many local eateries or make a few other stops in town before coming back for the completed project. We are happy to help with suggestions and directions. …so don’t think that your options are limited. We have many pieces that can use the incorporation of silk stems or florals, other than your standard vase, or if you have a vase from home that you love feel free to bring it in and let us work our magic to turn it into something new. This month we are celebrating something special, our first birthday! We will be having our 1st Birthday Bash on June 17-23 and each day we will be doing something special including discounts! 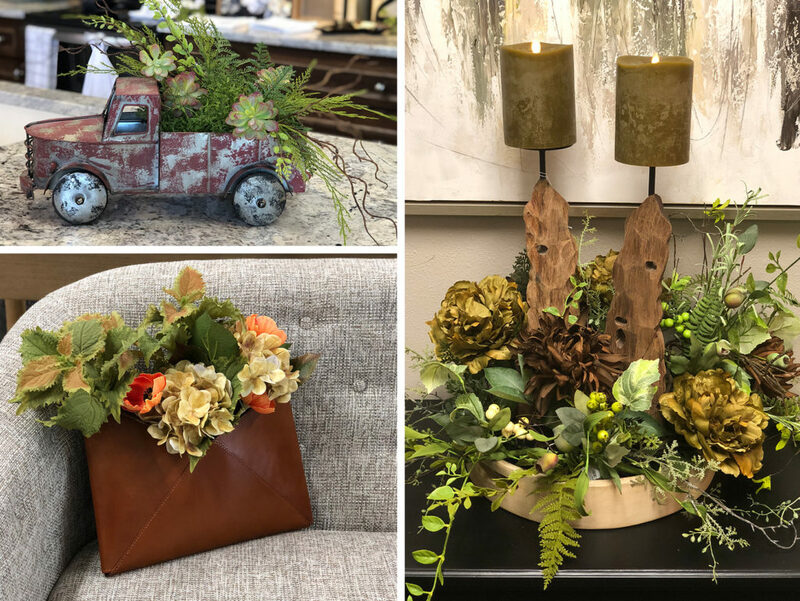 On Wednesday, June 20 from 8:00am – 5:00pm our designers will help you create an arrangement and receive 40% off the price of the vase (or you can bring your own).